Leon’s Frozen Custard first opened in 1942, and since then has remained as one of Milwaukee’s premier destinations for frozen custard. The restaurant has had the same appearance since a renovation in the early 1950s- it basically looks like a classic drive-up diner which makes it a fun destination, especially with kids. 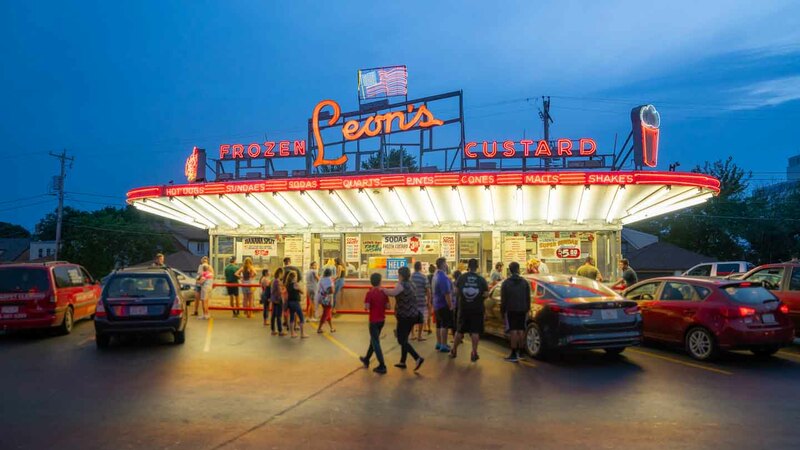 For the most famous place and longest continuously operating custard joints in the city, Leon’s is a must stop destination. They also keep things pretty simple, basically, only a few flavors are available, and an assortment of sundaes, which makes choosing a flavor pretty easy. Vanilla, chocolate, and butter pecan are always offered, and a fourth flavor is added on the weekends, which includes tasty treats like mint, raspberry, or strawberry. Have your custard in a cup or cone – the best are the double dip and triple dip cones ($2.12, $3.11). They also have sundae specials for under $6, like the super sundae with pecans and a cherry ($5.80), or an outstanding banana split topped with strawberries, marshmallows, crushed nuts, and a cherry ($5.80). Also available are an assortment of malts and shakes. No matter which flavor of sundae or custard you go with, you basically can’t go wrong at Leon’s. The main reason to stop off at Leon’s is the frozen custard, but if you are looking for something savory and a little more substantial, there are limited food options. You can grab a hot dog ($1.72) or a chili dog ($218). They also offer what are called Spanish hamburgers, which are more similar to a sloppy joe than a traditional hamburger and are awfully delicious if looking for a quick snack ($2.05). Leon’s is on the south side of town, or about ten to fifteen minutes from downtown. A few blocks away is the Moonshine Pub & Grill, a casual place for a drink that also is a surprisingly good spot for Serbian food. 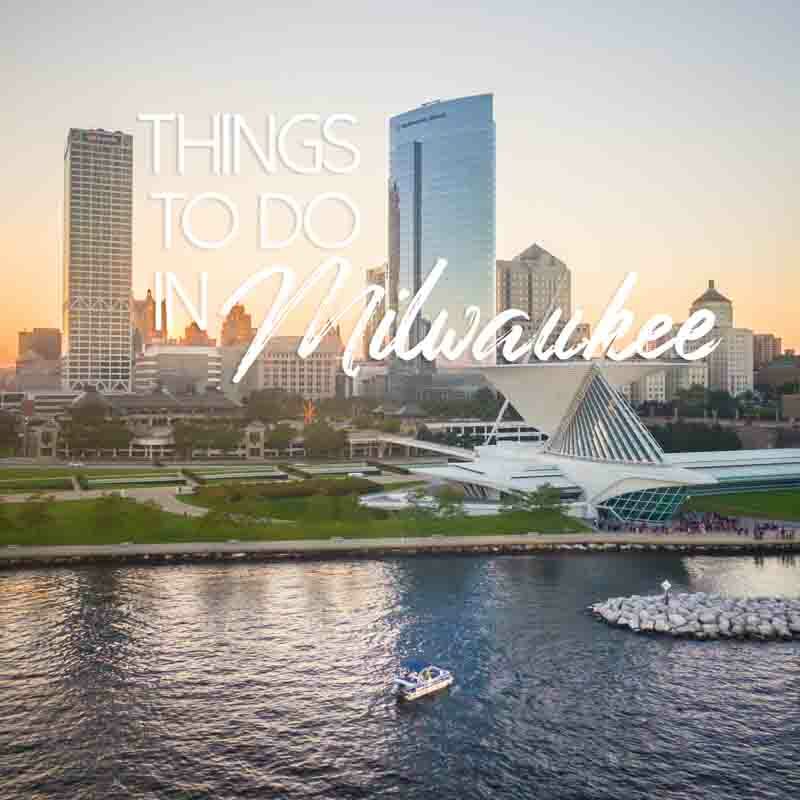 If instead, you are looking for a more kid-friendly environment, there is also a movie theater just a block away. There is no indoor seating, which makes Leon’s especially ideal when the weather is nice or be prepared to eat in your car. Address: 3131 S. 27th St.
Everyone should try this frozen custard. It’s really delicious and refreshing especially in summer time.